The Pearl District is a community built up of young urban professionals, families from all diversities, young and old families, students from all known lands, and relaxing retirees. 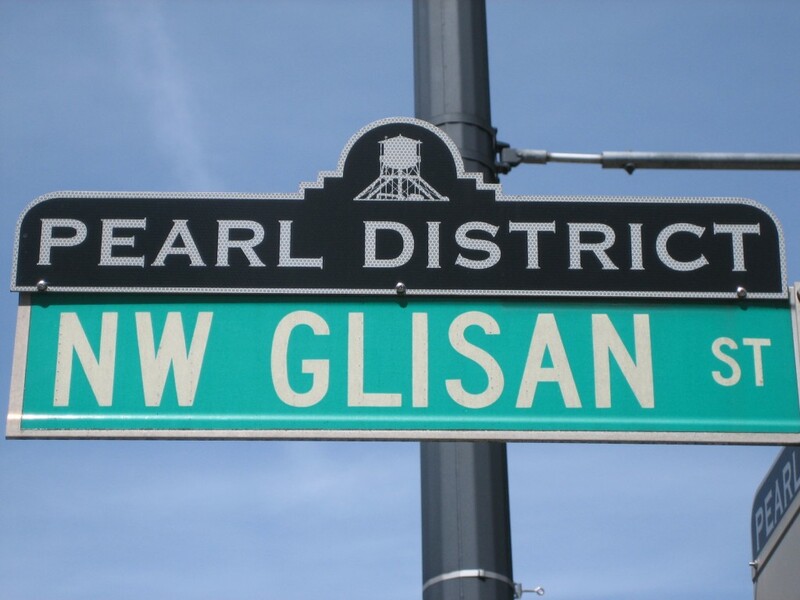 Just like all pearls, the Pearl District is soft and gleaming, with grit as its core. The Pearl District was planned to house blue collar workers during the 19th century, when the city’s logging sector was booming. Comprised of multi-family apartment buildings and industrial warehouses, the Pearl District was perfect for loggers, railroad employees, and other families. But by the 20th century, logging declined in Portland. As employee families left the neighborhood, furniture craftsmen moved in, changing the makeup of the neighborhood from residential to industrial/commercial, until the the recession of the 1960s crippled the U.S. economy. During the 1960-70s, the Pearl District was largely forgotten by the City of Portland. Free spirited artists and homeless people moved into the apartments and warehouses. Artists like Gus van Sant, Tad Savinar, and Tom Stefopolous spent important career time in the Pearl District, among numerous others. In the 1980-90s, the warehouses and the land where they stood were purchased by developers, with a vision of glistening towers and lush gardens in mind. By the dawn of the New Millennium, this vision was turning to reality. The removal of the Lovejoy viaduct and the construction of the Portland Streetcar were two of the biggest projects associated with the Pearl District’s birth. Development made during the aughts proved vital: the Pearl District was comparatively untouched by the Great Recession and the Housing Market Collapse, posting few vacancies. Though development did slow, it has since picked up: only one floor of the first office building opened after the Great Recession was listed vacant. The Pearl District is sometimes critiqued as a center of gentrification; to make the neighborhood accessible to all, the Pearl District is home to some of the city’s newest affordable housing communities. As the neighborhood continues to grow, the population is approximately 25% affordable income, injecting the Pearl District with sources of diversity. The district is home to one of Portland’s biggest icons. Powell’s City of Books was founded in 1971, is now considered one of America’s most famous book stores: a full city block of books, measuring about 68,00 square feet or 1.6 acres of retail space. Powell’s has had several locations over the years, including two stores devoted specifically to travel and technical books. The district has two public plazas available for use; Jamison Square; and Tanner Springs Park; Jamison Square was completed in 2002 with a design focused around a fountain which allows access for cooing off, the square also serves as a multi-use space for the Portland Farmer’s Market; Tanner Springs park was completed in 2005, the design focuses on being natural with tall grasses and a creek. According to the Pearl District Business Association, Thomas Augustine is responsible for naming the district. His good friend Pearl Marie Amhara was a creative enthusiast that would visit him in Portland and specifically admired the then industrial Northwest Portland triangle. She would throw parties in the district for artists and fundraisers. It was in the mid-1980s, a woman had just moved from Italy, she told Thomas, “she wanted to live with the cognoscenti [creatives].” Thomas replied that Portland is only 200 years and lacks such an area. He did however say, “there’s Pearl’s place.” After that Thomas began calling the area (soon to be neighborhood) “Pearl’s district.” It later transitioned into “Pearl District,” When it was quoted in an Alaskan Airlines magazine. Pearl Marie Mahara died in 1996 but knew the potential and that it held a name created by her good friend Thomas Augustine, “she was tickled by it,” Thomas said. Some businesses still refer to area as the “brewery district” or “brewery blocks” but are fronded upon by local enthusiasts. A former well known brewery is the Weinhard Brewery, which shut down in 1999 due to its new owner the Miller Brewing company goals. It was later sold and redeveloped as the Brewery Blocks. 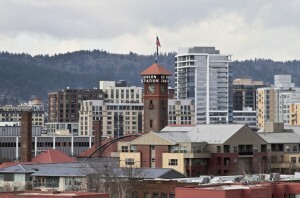 Research indicates the Pearl District was originally known as the Northwest Portland triangle district (heavy industrial). Today the Pearl District has proven urban renewal success, winning awards both nationally and internationally —while remaining diverse through all its wealth —The Pearl District is a great place to live and experience.